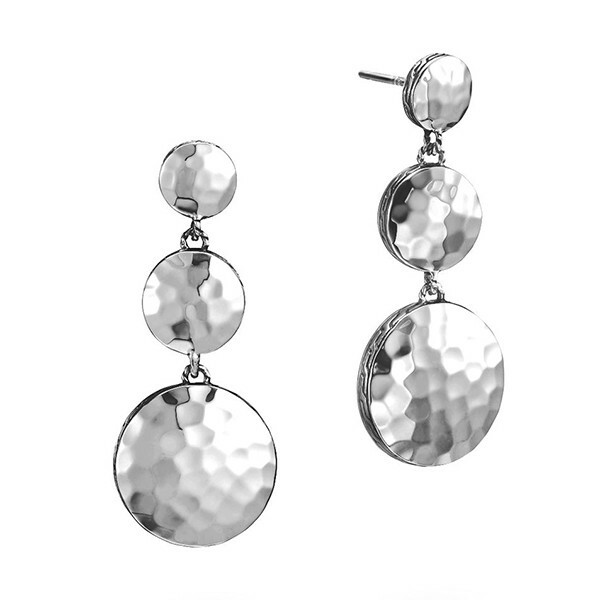 Drop into stylish fashion with these John Hardy earrings from the Palu collection. Three sterling silver discs are hand-hammered into a dimpled sheen and fringed with the classic chain motif. From small to large, each disc descends from a post back that will comfortably secure them to your ears. These drop earrings from John Hardy are a smart accessory for the savvy woman!